Tuesday, May 29thand Wednesday May 30th, from 8am to 4pm. This two-day Social Media Summit features spectacular speakers, networking, vendor booths, and delectable meals. Learn how to leverage the power of Social Media to enhance your brand, create relationships and grow your business pipeline. Eight world-class speakers, all Social Media Experts, will share topics ranging from The Social Media Sales Revolution, and how to Gain Presence with Google Hangout, to Marketing on LinkedIn in an Hour a Day and Facebook Marketing for Dummies. A continental breakfast and a delicious hot buffet lunch are included each day, and parking is free. Joel Comm, award-winning New York Times Bestselling Author and world renowned social media keynote speaker. Viveka von Rosen, Linked-In expert and author of “Linked-In Marketing: An Hour a Day”. Kevin Knebl, international speaker on social media for large corporations and co-author of "The Social Media Sales Revolution". Stephanie Hillberry, aka, ‘The Hybrid Salesperson’, equips audiences to boost their online and offline productivity through Blogging! Lori Gama, Twitter and on-line visibility expert and author of “Become a Twitter Pro in 20 Days: a Beginner’s Guide to Twitter”. Vicki Conley, innovator, designer of mobile apps and speaker on Google Hangouts. Andrea Vahl, (Grandma Mary), edutainer and Facebook expert who co- wrote “Facebook Marketing All-in-One for Dummies”. Rose Chamberlain, highly-accoladed entrepreneur whointegrates the art form of social media into her marketing plans along with running a successful business. 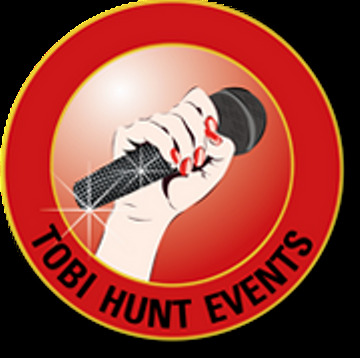 Tobi Hunt creates innovative events to bring entrepreneurs together for high impact business networking and community support. Each month, over 50 attendees at Hunt’s Lunch & Network meeting exchange ideas for promoting their local businesses while gaining wisdom from masterful speakers. Tobi also hosts Brunch& Network and Les Femmes Connect, a women’s Meetup group. Dynamite Divas Women’s Expo and The New York/New Jersey Gals dinner meetings encourage women to connect on a more personal level and develop viable strategic partnerships for their businesses. In recent years, Tobi Hunt Events has generated over $3500 to local mental health facilities and programs – an area that is close to her heart since a family member was diagnosed with bi-polar disorder in 2001. Her passionate pursuit of promoting local entrepreneurs while positively impacting the mental health community is unrelenting as she supports the growing purchasing power of women. 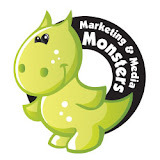 www.MandMMonsters.com - Join our FREE Industry Based Marketing Club! 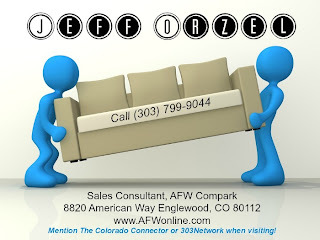 DENVER BUSINESS MONITOR - Go now to read today's TOP STORIES!